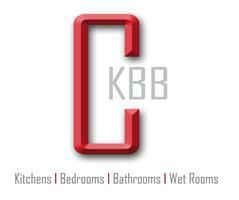 Complete Kitchens & Beautiful Bathrooms - Bathrooms, Bedrooms, Kitchens, Tiler - Tiling based in Oldbury Road, Torfaen. We are proud to be a family owned & run business that started life some 40 years ago by it’s founder Bob Urie and has now grown to be one of Wales’ premier showrooms and one of the largest displaying outlets of fitted kitchens, bedrooms, home offices & bathrooms in South Wales. We have always been renowned for our quality, service and attention to every detail. As a small company we are able to spend time with you to concentrate on every intricate detail regarding your installation that you may be interested in, and whether it’s a new fitted kitchen, fitted bedroom, home office furniture or fully fitted bathroom. We have established brands such as Beautiful Bathrooms within our company and have our own teams of fully qualified installers. We cover all areas of the UK for deliveries & installations and we are able to project manage the installations in house whether it’s a completely new build house to minor alterations we are able to carry out all with ease, please feel free to browse our own web site at www.ck-bb.co.uk where you can take the time to view some of our case studies, customer testimonials & the hundreds of completed installations in our gallery section.